Clear Channel out – iHeartMedia in. by Jay Mitchell • September 16, 2014 • Comments Off on Clear Channel out – iHeartMedia in. Media giant Clear Channel Communications is adopting a name that, according to the company, is “reflecting the company’s success in becoming a one-of-a-kind multiplatform media company with unparalleled reach and impact.” This will affect over 850 radio stations in over 150 markets; iHeartRadio; Premiere Networks; Clear Channel Outdoor; and related companies like the Katz Media Group. 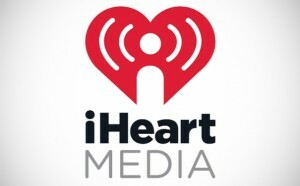 According to Chairman/CEO Bob Pittman, “iHeartMedia reflects our commitment to being the media company that provides the most entertainment to the most engaged audiences wherever they go, with more content and more events in more places on more devices.” The Clear Channel name will live on, however: Clear Channel Outdoor Holdings, Inc. will continue to because by the same moniker. ← RADAR’s latest finding: 180 million plus. Note: This is a free subscription to Jay Mitchell's commentaries. For a full subscription to our newsletter, click here. Start reading the Small Market Radio Newsletter this week! 52 weeks a year, SMRN delivers time-saving, money-saving, money-making tips to make your radio station more profitable and fun! CLICK HERE FOR A TOTALLY FREE 4-WEEK TRIAL (NO PAYMENT INFO REQUIRED). START READING, SAVING AND PROFITING THIS WEEK!